Solapur is a district of Maharashtra State now. History of this district is associated with the Bahamani Sultanate, the rulers of Bijapur and the Mughals in the medieval period. It was ruled by the Chalukyas, Rashtrakutas and the Kalchuri rulers. It was a part of Kuntala region in the ancient period. 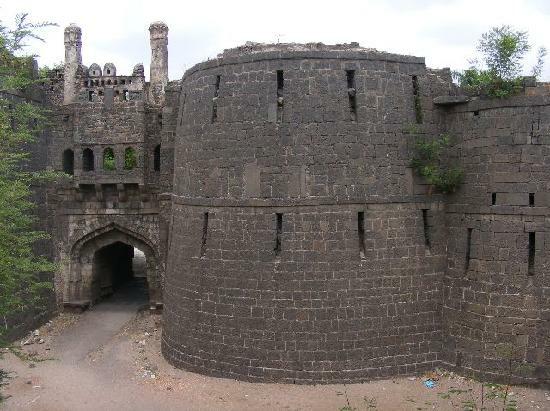 The actual formation of Solapur into an independent territory took place in the medieval period. Solapur was a part of the Gulbarga division in the reign of the Bahamani Sultans. After that it came under the rule of the rulers of Bijapur Adil Shahi. It became a part of Bijapur region then. Later in the Mughal period it was a part of the Telangana region. Marathas ruled over it for a decade and Solapur (it was known as Sholapur) came under Ahmadnagar district. During Anglo-Maratha tussles the area comprising Solapur and Pandharapur were the center of disputes. During Indian Freedom Struggle Solapur had acquired three days independence due to insurgency of the freedom fighters. This happened in 1930 from 9th of May to 11th of May. In 1930 after Gandhi’s arrest there were protests and rallies all over India. Even in Solapur many freedom fighters took up protests and the angry mob had ransacked the police station. The police and other authorities had fled from the city for three days and the Congress men of Solapur took charge of Solapur for three days. Tulsidas Jadhav, a leader of Congress Party was in charge of the responsibilities. On 6th April in 1930, a month before the incident mentioned above the freedom fighters had even hoisted the national flag on Muncipal Council building. It is known as the first Muncipal Council in India to hoist the national flag. Irritated British executed many freedom fighters making them the martyrs of Freedom struggle. After Independence many taluks of Solapur district were relocated and in the year 1956 the district came under the Bombay State of that time. In 1960 the district became a part of the Maharashtra State.